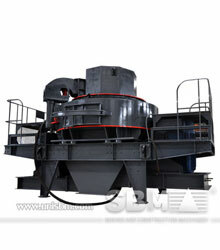 Also called Vertical Shaft Impact Crusher, VSI crusher is popular as tertiary crushing equipment. VSI Series vertical shaft impact crusher is best suited to produce high quality cubical products, pre-milling and to generate ample fines. Vertical Shaft Impact crusher uses two special crushing method rock on rock and stone on rock crushing method, which employs a high speed rotor with crushing chamber of the equipment. VSI Series vertical shaft impact crushers are not only used for round out angle of aggregate to improve shape of grain and crushing basalt, pebble, andesine, granite etc into manufactured sand by dry method. The material to be crushed is fed into machine from the feed opening of top, and fall down onto the central section of rotor rotating with high speed. Then it is thrown out with high speed by the strong centrifugal force of rotor, colliding with the impacting plate and crushed. The Detroit Copper Company mining is a large-scale open pit and has a production of over 380,000t/yr copper. The Detroit Copper Company started mining in 1872. The main mineral type of this mining is chalcocite, pyrite, chrysocolla, malachite and molybdenite. Widely used in areas which need artificial sand and cubical stone like road building, construction, chemical, building aggregate and building materials, VSI Series vertical shaft impact crusher is SBM excellent secondary crushing machine. Located 400km east of Perth, Western Australia, Flying Fox is the first mine to be developed at the Forrestania Nickel Project and contains some of the highest grade nickel in the world. The Forrestania Nickel Project also includes Archean Greenstone belts and substantial exploration potential. 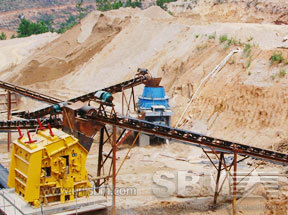 VSI Series vertical shaft impact crusher is also called VSI Series sand making machine. This mining equipment can produce both for artificial sand making and raw materials of grinding equipments in areas like road building, construction, painting and building materials. "The production line of SBM really helps us to save time and money."